Crack open the wine and pass around the beers. Apparently, couples who drink together have better relationships. It's not because the alcohol blurs the nagging or numbs the long boring tales of football matches or golf games, it's because married couples who have similar drinking habits tend to be happier than couples where only one partner drinks. This may not seem like a huge discovery. After all, who wants to sit on a couch, stony cold sober, listening to their partner slurring as they tell the same story for the fifth time? Does any man relish a sober night in sitting with his drunk, weeping partner, sobbing over the fact that in 1993, her ex-boyfriend told her she had chubby ankles? What is interesting is the age profile of the unhappy women. Of the 2,700 couples surveyed over a 10-year period, it was women over the age of 50 who were particularly unhappy in their relationship when they were the only drinker. The couples surveyed had all been together for a long time. They were married for an average of 33 years. You'd think after all that time, the women would have worked out a way to drink alone happily. It seems not. The happiest marriages were the ones where either both partners drank or neither did. More worryingly, the study also found that 20pc of the men and 6pc of the women surveyed had serious drinking problems. Social drinking with or without your partner is one thing, alcoholism is another. Alcohol Action Ireland (AAI) warns heavy drinking in marriages, whether it's one partner or both, often leads to couples divorcing. They note that in families where one of the parents abuses alcohol, the other partner is often left having to fulfil both of their responsibilities. This can lead to economic hardship, isolation and unemployment. With drinking trends in Ireland changing and women now drinking almost as much as men, relationships are under even more strain. AAI notes that 60pc of alcohol purchased today is being sold in outlets other than pubs. You can now buy alcohol cheaply in supermarkets, garages and corner shops. People are taking advantage of this and drinking more at home. Irish women are now trying to keep up with Irish men's alcohol intake. While we all shout for equality, in this case, women are not equal, because they cannot physically process alcohol the way men can. Women's bodies process alcohol differently to men, resulting in higher concentrations of alcohol in their blood when they drink equal amounts to men. Women also experience greater health risks from alcohol than men and the onset of alcohol-related health problems begin earlier. As well as all that, women are more susceptible to tissue damage, cirrhosis of the liver and alcohol dependence than men; on top of which you also have the increased risk of cancer. In Ireland, 12pc of all breast cancers are linked to alcohol consumption. Even drinking one standard drink per day can increase a woman's chances of developing breast cancer by 9pc. If she drinks between 3-6 units a day the risk goes up by 41pc. A marriage of two (reasonable) drinkers may seem like a match made in heaven, however, it may not be the healthiest of shared interests. Taking up Tai Chi might be a better hobby. Married men don't need to worry as much though, it's the wives who are in trouble. According to research, men tend to drink less when they are married, whereas women drink more. 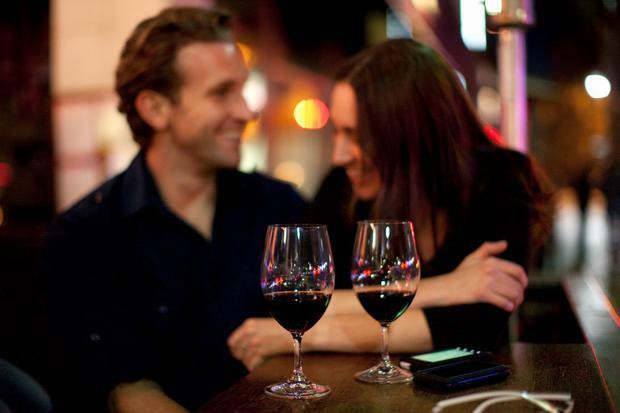 Findings show married women drink more than single women, widows or divorcees. What are our husbands doing to us? Cutting down on alcohol consumption would improve marriages, health and well-being and AAI is urging people to support The Public Health (Alcohol) Bill. Conor Cullen, Head of Advocacy and Communications at AAI, said that the Government needs to act urgently on this issue - not just to reduce the huge burden alcohol places on our health service but to reduce the suffering and grief experienced by so many individuals and families in Ireland. In the meantime, women need to think seriously about their health before they pour that extra glass of wine. Those unhappy women married to non-drinkers might consider giving up drinking if drinking alone is making them so miserable. Perhaps it's time they came up with other pastimes to share with their tee-totalling partners. There is a whole world of activities to choose from. It doesn't have to be boring. Skydiving anyone?